In May last year Natalie Swain, Director of Waitakere City School of Dance introduced Movitae, one year on and we get this lovely note from Natalie at the end of an email "P.S. we are SO pleased with how Movitae is going. Just yesterday I was talking with the other teachers, and I was saying how ALL my students seem to know their work much earlier than usual. They agreed with me.... We just need to polish and tidy it all up now, because they’ve all been practising so hard! It’s awesome!!" We thought we'd ask her a few follow-up questions to hear more about her school and how they use Movitae, thank you Natalie for writing this blog for us! 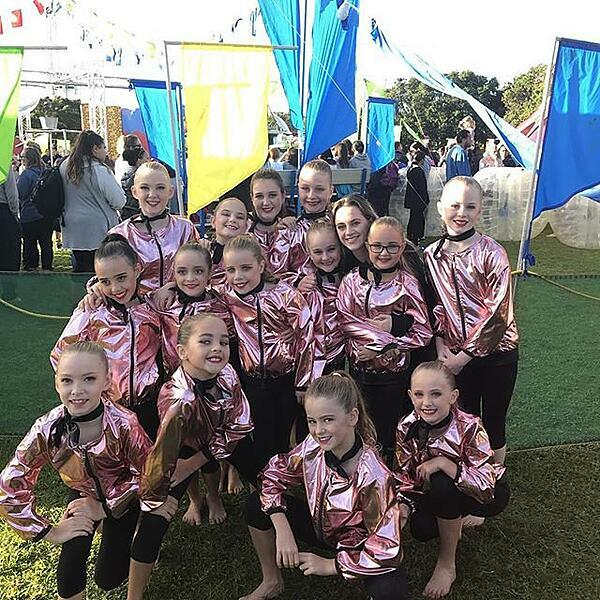 Waitakere City School of Dance was founded 11.5 years ago, by Natalie. It started as a small school of approximately 25 kids and has now grown to approx 550. I started with jazz, and hip hop classes..but over the years have expanded to add teachers in ballet, tap, lyrical and contemporary. Teaching dancing is something I absolutely love to do. I look forward to going to work each day and seeing the students that come along each week to do something that THEY love to do. We at WCSD believe that dance should be fun, and something people enjoy, and it should be done with heart and soul. Dance is a great way to express oneself, and teaches discipline, confidence and passion. We heard about Movitae through dance friends, and decided to hear a bit more about it. Once we had the run-down on how it all works, it seemed silly NOT to grab the opportunity, and we’re so glad that we did! All teachers at WCSD use Movitae to film kids in class so that they can practice at home their classwork, with corrections in place etc. We also use it to share show items, messages about costumes or class info, and can share work privately with individual students when doing private lessons. We were discussing the other week, how we have all noticed that this year, our students seem to know all their exam grade work SO much better at this point in the year than they usually do. It is definitely because they have been practicing with Movitae, so now all the teachers can concentrate on cleaning and polishing the work in plenty of time for exams! I am so pleased with myself for knowing how to work everything! It really is simple to work with, and if I can do it – ANYONE can do it...seriously! Absolutely! We love it, and the students and their parents/families love it, and we’ve had nothing but positive feedback from everyone about it. It’s the best thing we did signing up with Movitae. Would you like to try Movitae for your dance studio?